As we all know, KPIs are usually measured at regular time intervals so that we can compare values for trend information and performance. But, if the date standards your company uses are inconsistent, your data analysis will be wrong, and will lead you to make the wrong decisions. The same date can occur at different points in different dating systems, and make your trend comparisons inaccurate. Understanding how these date formats work is very important to ensure data accuracy and viability. This article will outline three commonly-used systems, (ISO dates, Financial Year dates and calendar year) and why managers have to careful when using them. This might seem obvious, but it is important to understand that for everything above daily measurement, different companies do not use the same conventions for measuring time. 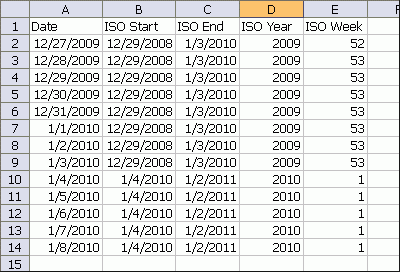 If different date systems are used when measuring data, comparisons can be inaccurate. Most of the problems when using these date systems stem from the weeks which they start and finish for business. In January, The first week has one day! 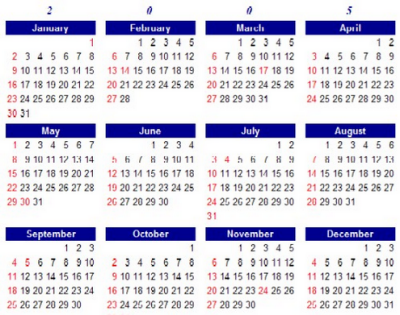 As you can see from this calendar, week 1 of this year only contains one day. It doesn’t matter whether that day is a Sunday or not, only that People treat this as the start of their year. Therefore, if you were entering weekly KPI data into a SpreadSheet or database, only Sunday’s data would be counted in week 1. This brings us to my first tip regarding dates. TIP 1: Take start/end week lengths into account when comparing KPIs. Fractional starting or ending weeks can make yearly comparison information appear incorrect. Comparing data from the first full week may be more accurate in establishing trends. Also, be aware that the calendar year can add an extra week to your year. This is because the small ‘weeks’ that may occur at the start and end of the year are actually one week divided into two. Again, these can make trend information less useful than if the time periods were measured uniformly. Perhaps the most important change between ISO dates and Calendar week dates is that there are no fractional weeks counted in the year. 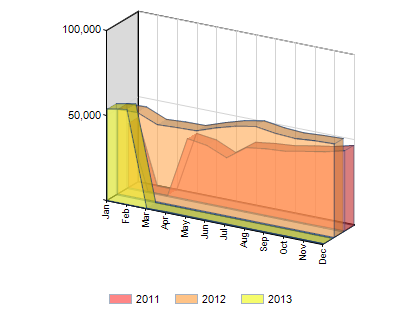 This means that data won’t appear to be missing, making trend analysis easier. As you may already know, the ISO dates standards allow a more consistent working calendar, allowing easier performance measurement. However, the way which weeks are designated means that once every few years, there is an extra week in the calendar called a leap week. This must be taken into account when managing KPIs, as it can offset your trend information. In the ISO week, the first week of the year is always a full 7 days, but the way the first week is designated is that it is always the week which contains the first Thursday of January. This means that the first week of the year will always contain the fourth of January, but may contain days from December too. The extra non-January days in the starting week are what cause the extra week every few years. The ISO week also consistently has 13 weeks every quarter, and always begins on a Monday (very important). The main advantage of the ISO dates system is this uniformity, which allows you to easily compare metrics taken at specific points in the year. The main thing to watch out for is to ensure that the final leap week is accounted for. Tip 2: Factor in changes in week numbers, so as to get accurate trend information. Simply put, trend information can become inaccurate when different measurements are charted to different week labels (i.e. the same time period might occur in differently numbered weeks in different years). If you wish to compare the same time frame, be sure to check dates as well as week numbers. The ISO week system is often used by companies to standardise week systems, but they are also used as a basis for financial year calculations. The last part of this article will cover how different companies treat the financial year dates. As we all know, the financial year is used to calculate the time periods for calculating yearly financial statements for a company. Therefore, business which happens before a certain ending point in the year is counted in the statement of that year. However, many different countries and industries use different systems for their financial year dates. The important thing to remember is that different kinds of organisations have different ways of recording information for the financial year, but some KPIs might not be measured with this in mind. For example, the trends for yearly information taken from the beginning of April and the beginning of January could differ substantially. International companies need to ensure that if data is marked according to the weeks in the financial year, that there is awareness of different conventions for different countries. However, this can be easily mitigated by measuring each week according to calendar dates (e.g. week beginning on a certain day) and labelling the weeks by Financial Year week numbers later for convenience. 3. Small businesses that may not have standard/recommended date standards. This article has shown you the differences between common date systems, and what you can do to ensure that your KPIs are measured consistently. To learn more about how you can make KPI management quicker and more effective through regular updates, please follow us on Twitter!